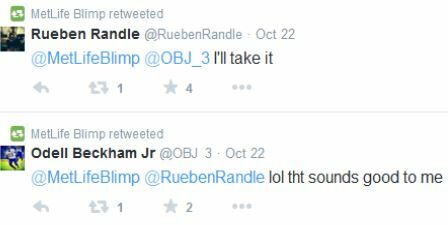 Let’s rewind for a second. Ten years ago, traditional forms of media relied almost exclusively on word-of-mouth marketing to spread messaging after a passerby saw an ad. This meant advertisers had to have strong branding, content, and creative to get people to spread the word about a product. These pillars are still best practices in the advertising world, but now the hashtag has become an equal, if not more important player, in the game. Billboards, radio, television, and even newscasts have adopted the hashtag as a tool to further the conversation between brands and consumers. However, not all hashtags succeed in creating buzz. You need a unique, compelling call-to-action to activate consumer interest. This is one area where blimp advertisers have an advantage. Blimps by nature are unique, eye-catching, and larger-than-life. When a blimp is flying overhead, consumers can’t help looking up and taking note of the massive dirigible floating by. With the explosion of Instagram over the past 5 years, we have seen a steady increase in posts highlighting our famous blimps, and advertisers are using this to their advantage. Here are three notable campaigns in which advertisers have taken advantage of the peculiar curiosity surrounding blimps. In 2012, popular late-night talk show host Conan O’Brien became the first talk show host in the history of the medium to have his own blimp. The purpose of the campaign was to get people excited about Conan’s new show on TBS. Throughout the blimp campaign, Conan used the airship in a variety of funny stunts including stalking Oscar-nominated actor Gary Busey, harassing his ex-girlfriend, and most notably to “play” Foursquare. 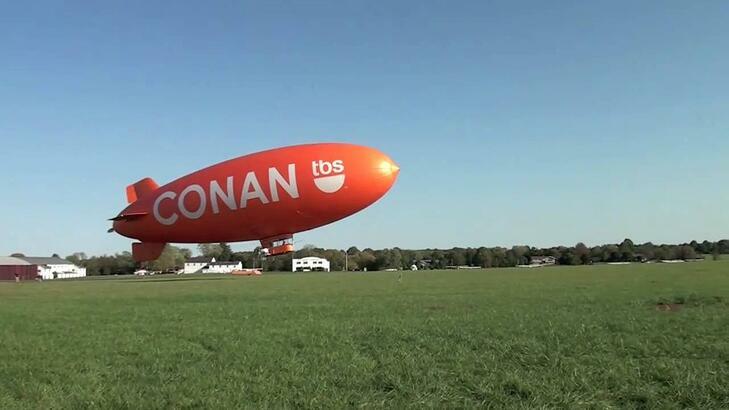 In order to keep people across the country engaged with the blimp, Conan partnered with Foursquare, enabling the blimp to check-in at certain locations and businesses across the country. 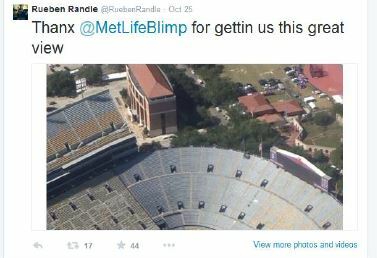 There was also a live-stream of the blimp’s view from the cockpit. 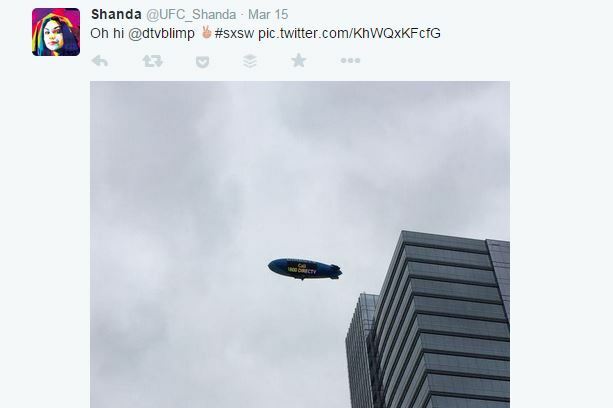 Consumers were encouraged to check-in to the Conan blimp and use the hashtag #TheConanBlimp. Foursquare even created a Blimp Spotter badge for participants that checked in. Thousands of people posted and tweeted about the airship. At the end of the campaign more people checked in to the blimp than the Empire State Building and Statue Of Liberty combined! Check out the video below. Appliances Online, a major online retailer of home goods and appliances, launched its first major television advertising campaign in early 2014. Their highly comical and attention-grabbing advertisements promote “Legendary Service.” So, it would make sense that their outdoor advertising campaign would be legendary as well. With this in mind, the Sydney-based company reached out to Van Wagner Airship Group to launch a blimp in the Australian market. The 127 foot long by 36 foot wide, internally-lit dirigible, aptly named the Legend Blimp has been floating above major metropolitan cities across Australia since November of 2014. 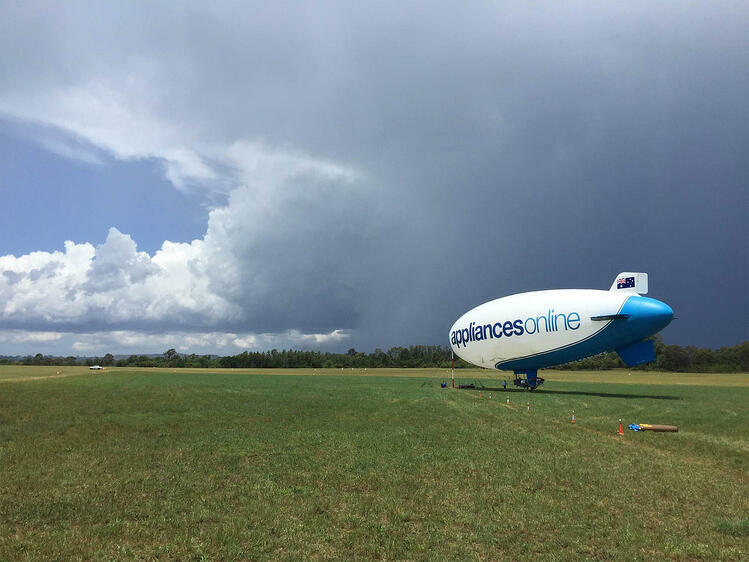 This is the first time a blimp has flown in Australia in over seven years, and the Legend Blimp is currently the only active advertising airship flying in the southern hemisphere. As you may imagine, the uncommon nature of the airship has captured the attention of locals and the media. Thousands of people have shared their pictures of the blimp using #LegendBlimp, and Appliances Online consistently shares stunning aerial photos of the Australian landscape to further the conversation. The campaign is still active and you can follow along at @appliancesAU (Twitter and Instagram). Appliances Online has even put together a blimp tracker, allowing consumers to see exactly where the blimp is at all times. 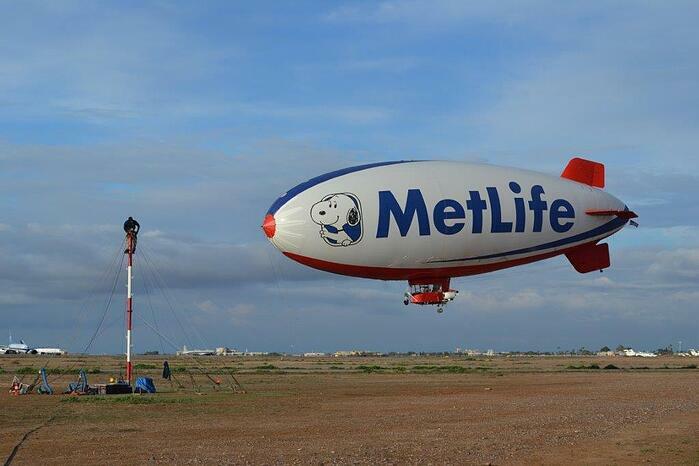 The two most conversationally-active airships on social media are the DIRECTV blimp and the MetLife blimp. 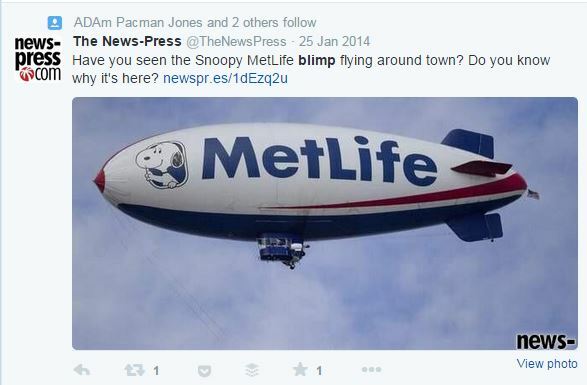 Both airships have their own handles, @DTVBlimp and @MetLifeBlimp, respectively, and they both consistently engage with consumers from the perspective of the blimp. Celebrities, news outlets, and consumers engage with the airships on a regular basis. 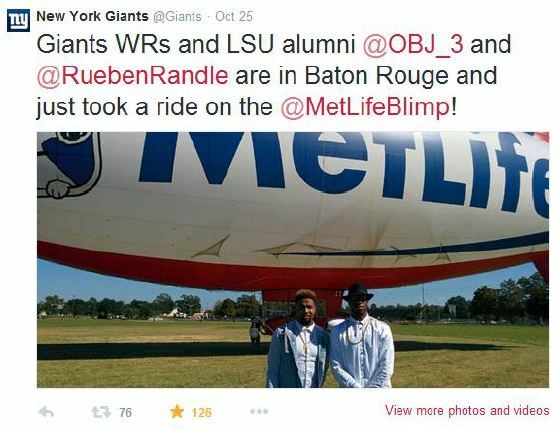 Check out some tweets from the blimps below. These are just a few examples of how advertisers have used blimp advertising and social media buzz and elevate their brand (no pun intended!). For more information about our airship campaigns, contact us today or click the button below.